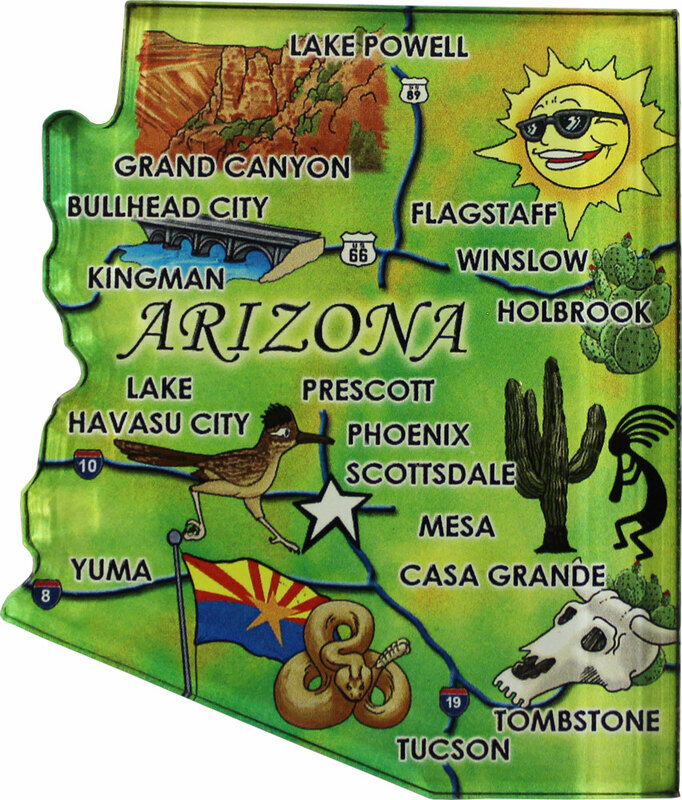 Arizona State Map magnet, measures approximately 2.5 inches by 2.25 inches and includes a 1/4 inch of crystal clear acrylic. Use the .25 mil magnet backing to display your magnet on any smooth metal surface. Sizes are approximate and vary by state.